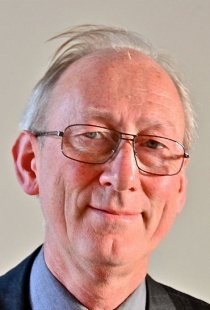 David Livermore gained his BSc in 1978 and his PhD in 1983. He worked at the London Hospital Medical College from 1980 until 1997 when he joined the Health Protection Agency (now Public Health England), becoming Director of its Antibiotic Resistance Monitoring and Reference Laboratory in 1998. In October 2011 he became Professor of Medical Microbiology at the University of East Anglia but with 30% of this time supplied back to Public Health England as its Lead on Antibiotic Resistance. He has broad interests on the evolution and dissemination of antibiotic resistance and its relationship to antibiotic prescribing. Prof Livermore sits on the British Society for Antimicrobial Chemotherapy's working parties on resistance surveillance, multi-resistant pathogens and susceptibility testing and its Antibiotic Action advisory board and is a member of the UK Government's Antimicrobial Resistance & Healthcare Infections Advisory Committee. He publishes and speaks widely on resistance and has edited for several journals including Journal of Antimicrobial Chemotherapy, Journal of Medical Microbiology and, currently, International Journal of Antimicrobial Agents. 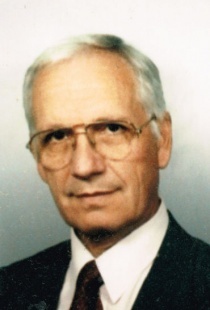 Peter Schneider obtained his Ph.D. in 1971 at the Swiss Federal Institute of Technology, Zürich (ETHZ). From 1971 he has worked for Ciba-Geigy in chemistry research developing antibiotics, anti-tumorals and antivirals and has been involved in several marketed products. He was responsible for building-up the Molecular Diversity unit (Compound Archive, Natural Products, Microbiological Transformations, and Combinatorial Chemistry) and was a member of the Steering Committee for the Ciba and Chiron collaboration. After the merger of Ciba with Sandoz to Novartis, he led the Combinatorial Chemistry unit introducing the single bead approach and other new technologies. In 2002 he was appointed as Head of Chemistry at Arpida Ltd. working in the field of anti-infectives. Currently, he is consulting for several small Biotech companies and is a member of Ki Consulting AG. He holds 31 issued patents and has published 39 articles in leading journals. Martin is professor of biotechnology and bioengineering at the Swiss Federal Institute of Technology, the ETH Zurich. Prior to that Martin studied molecular biology and genetics at the Biocenter in Basel, performed his PhD at the Max Planck Institute of Biology in medical microbiology and was postdoctoral fellow at the Max Planck Institute of Infection Biology. 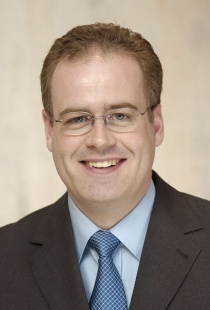 In 1996, Martin joined James E. Baileys group at the ETH Zurich as independent group leader and received his habilitation in 2000. Currently he is the Chairman of the ETH Department of Biosystems Science and Engineering in Basel. Martin has published over 170 refereed research papers, is coinventor of several patents and received, for his contributions to drug discovery and cell engineering the de Vigier and the Elmar Gaden Awards in 2003, became a member of the American Institute for Medical and Biological Engineering in 2007 and was the first non-US recipient of the Merck Award in Cell Engineering in 2008. Martin is also co-inventor of BioVersys' core technology. Dr. Spellberg is Chief Medical Officer at the Los Angeles County-University of Southern California (LAC+USC) Medical Center. 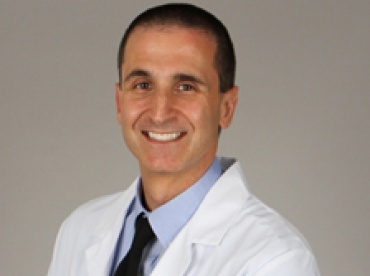 He is also a Professor of Clinical Medicine and Associate Dean for Clinical Affairs at the Keck School of Medicine at USC. He received his BA in Molecular Cell Biology-Immunology from UC Berkeley. He then attended medical school at UCLA, where he received numerous academic honors, including serving as the UCLA AOA Chapter Co-President, and winning the prestigious Stafford Warren award for the topic academic performance in his graduating class. Dr. Spellberg completed his Residency in Internal Medicine and subspecialty fellowship in Infectious Diseases at Harbor-UCLA Medical Center. 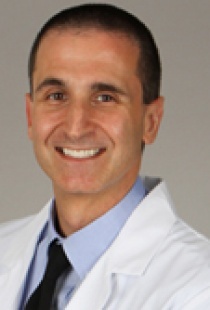 Dr. Spellberg has extensive administrative, patient care, and teaching activities. He has worked for the last 3 years to transform the quality and efficiency of care delivered at LAC+USC Medical Center, the largest public hospital in the US west of the Mississippi. In this role he has 18 non-clinical direct reports, and another 18 Chiefs of Clinical Services reporting to him. He is responsible for oversight of the $140 million dollar Medical School Affiliation Agreement with USC, and 1500 physicians, including 750 full time physicians. He has altered all aspects of hospital operations, from HR, to patient flow, to personnel, to UR, Social Services, medical documentation and billing, clinical care, etc. Dr. Spellberg may be the only Chief Medical Officer in the US who not only continues to be actively clinically, staffing both Internal Medicine ward teams and Infectious Diseases consulting service, but also maintains an active NIH-funded basic science laboratory. His NIH-funded research interests are diverse, ranging from basic immunology and vaccinology, to pure clinical and outcomes research, to process improvement work related to delivery of care, focusing on safety net hospitals. His laboratory research has focused on developing a vaccine that targets the bacterium Staphylococcus aureus and the fungus Candida; the vaccine is undergoing clinical development. Dr. Spellberg is currently working on the immunology, vaccinology, and host defense against highly resistant Gram negative bacilli, including Acinetobacter and carbapenem-resistant Enterobacteriaceae infections. Dr. Spellberg has also co-founded 3 biotechnology start up companies, which have resulted in 3 molecules that are in active clinical development (phase I-III clinical trials). Finally, at the national level, Dr. Spellberg has worked extensively with the Infectious Diseases Society of America (IDSA) to attempt to bring attention to the problems of increasing drug resistance and decreasing new antibiotics. His research regarding new drug development was a cornerstone of the IDSA’s white paper, Bad Bugs, No Drugs, and has been cited extensively in medical literature and on Capitol Hill. As a member and then co-chair of the IDSA’s Antimicrobial Availability Task Force (AATF), he first-authored numerous IDSA position papers and review articles relating to public policy of antibiotic resistance and antibiotic development. Finally, Dr. Spellberg is the author of Rising Plague, which he wrote to inform and educate the public about the crisis in antibiotic resistant infections and lack of antibiotic development.